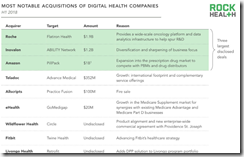 UK-based private equity firm Hg will buy Orion Health’s Rhapsody healthcare integration technology business for $138 million and will pay another $14 million to acquire a 25 percent share of its population health unit. 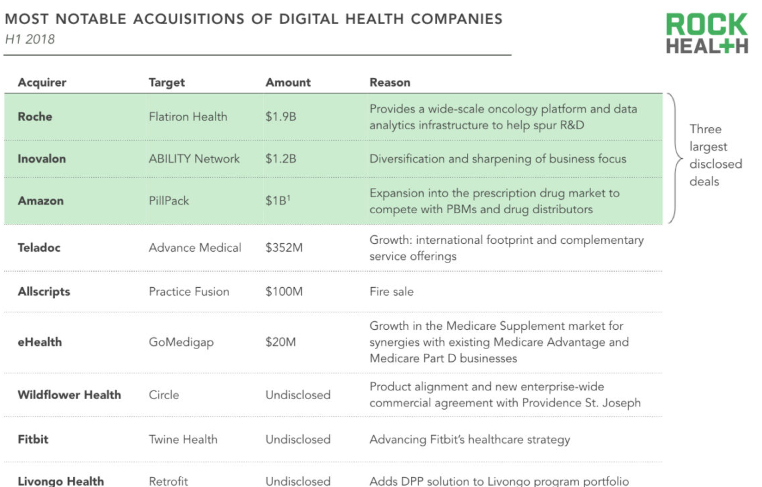 In a complicated transaction, Orion will then reinvest some of the proceeds to buy back equity from the same acquirer, leaving it with 25 percent of Rhapsody and 75 percent of population health. It will use the rest of the money to buy back shares and fund its hospital division. Orion shares, traded on the New Zealand exchange, rose sharply on the news but are still down 81 percent since the company’s December 2014 IPO. From Sprachen: “Re: telemedicine. Some harsh tweets say it was overhyped.” The virtual visit companies have certainly hyped themselves (which is what companies do, especially when they are trying to create a new consumer market) and uptake has been slower than you might expect because of state-specific laws, reimbursement issues, and natural market consolidation. However, there’s no way telemedicine can fail to attract a significant share of some market elements — specifically non-urgent acute issues, mental health, and chronic disease management – because it eliminates the geographical challenges that are caused by irregular provider distribution and challenging physical access. The biggest challenges to telemedicine vendors are (a) they have to market directly to consumers, which is expensive and difficult; and (b) they have to maintain a supply of competent providers who are wiling to conduct video visits at reasonable compensation levels. They have an advantage that both insurers and consumers should find appealing in that they can operate as a de facto national medical practice that is professionally managed to follow sound medical standards defined by policy and procedures and measured by analytics across a broad scale, which could be a lot better than a rogue independent doctor whose practice patterns stray from the accepted. There’s actually a third challenge that sounds worse than it is – it’s not as good as having access to your regular doctor via email or telephone, but most medical practices are eliminating that threat by hiding themselves behind the four walls of their insurance billing factory. Listening: new from The Wild Feathers, which breaks my lifetime-long streak of never recommending a country-rock band. It’s like the Eagles with the annoying parts excised, with remarkable harmonies and enough minor chords to keep me from quickly flipping on. I only wish they would ditch the cliché cowboy hat affectation that is emblematic of Nashville-based artists even though I’ve never seen anyone the South (except for Texas) wear a cowboy hat in public since they have no actual cowboys, especially the kind that work indoors at night miles away from the nearest horse that they couldn’t ride anyway. It’s the beginning of the July Syndrome, when fresh batches of frightened, newly minted medical residents begin working in US hospitals in scarily defining why we call it the “practice” of medicine. You will be well advised to steer clear for non-emergent needs for the next month or so. CNBC notes that e-cigarette maker Juul – whose USB-recharged vaporizer is easily concealable before and during use — is enjoying an 800 percent sales jump and a valuation of $15 billion, even as public health experts warn that while the company claims its products are intended to help adults quit smoking tobacco, many of its users are teens and adults who have never smoked. 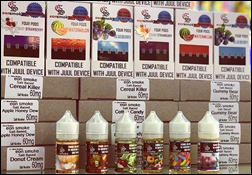 The company and its knock-off competitors offer nicotine-containing pods in such flavors as apple honeydew, donut cream, and Gummy Bear. University of Mississippi Medical Center chooses Kyruus’s ProviderMatch for Access Centers to allow call center agents to identify the right provider based on a patient’s needs. Japan’s first telemedicine intensive program goes live, developed in conjunction with Philips. Politico reports that the VA will not continue its Epic-powered MASS scheduling project beyond the pilot stage and will instead use Cerner’s capabilities. The VA ended up spending $28 million of the $624 million contract. However, the publication has since issued a “clarification” that its original report was incorrect, and the VA in fact hasn’t yet decided whether to continue the MASS project. A former peer review coordinator of Memorial Hermann Healthcare System sues the health system, saying it fired her for her refusal to reveal confidential surgery-related information at open meetings. A developer whose company’s mission-critical monitoring application runs on Google Cloud is dismayed to find his entire site down, shut down hard by Google’s automated systems after “potential suspicious activity” with warnings that the entire site would be deleted within three business days. 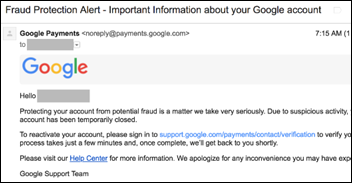 He reports that Google’s customer chat was offline and no support telephone number was provided – Google requires completing an online form and attaching a scan of the credit card use for payment as well as the holder’s picture ID, requiring him to wake up the company’s CFO in whose name the card was issued. He advises using Amazon Web Services instead, having experienced this problem twice with Google Cloud. In England, NHS Digital blames one of its technology vendors (TPP) for failing to send it patient opt-out requests, a just-uncovered problem going back to 2015 that has caused the information of 150,000 patients to be shared against their wishes. Stat profiles Biobot Analytics, whose technology analyzes a city’s wastewater as a “public health observatory” that uses “wastewater epidemiology” to perform population-level, toilet-based studies. The company’s challenge is that cities don’t really want to know (and to have publicized) their incidence of opioid use and it would merely confirm the extent of a problem already known to be extensive. The New York Times says people are being unnecessarily frightened by false positives after they send information from their consumer genetic tests to third-party analysis companies like Promethease, which looks for health-related mutations in the raw data of companies like 23andMe even though they aren’t certified clinical laboratories. The other (unstated) issue is that like much of today’s sophisticated diagnostic testing, we can recognize and name it without being able to fix it. 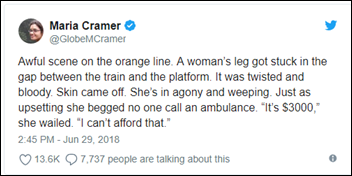 This medical versus financial decision repeats itself endlessly every day in the only country where an urgent medical need can leave you broke for the rest of your life. 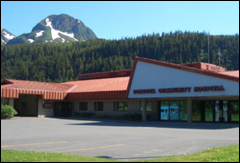 Cordova Community Medical Center (AK) won’t close after all, despite having warned the community that it would shut its doors on July 1 when it expected to run out of money to pay for the Internet access that its computer systems require. The hospital CEO says the FCC’s cuts to the Rural Healthcare Fund left the hospital to pay for its Internet access in full, leaving it with an accumulated $1 million bill. The hospital didn’t say how it resolved the issue, although the FCC boosted the program’s funding on June 1 to account for inflation, possibly restoring the subsidy that allowed the hospital to receive $80,000 per month worth of broadband services for $1,000. A Detroit jury awards a 17-year-old girl a $135 million judgment in her malpractice lawsuit against Detroit Medical Center, which she claims botched her spinal surgery when she was 10 and left her with permanent weakness that the hospital says was due to a blood clot. Reno, NV police arrest a 31-year-old man who was running around a hospital’s public areas wearing scrubs and a doctor’s nametag, although he wasn’t booked for that charge specifically since he didn’t identify himself as a doctor and there’s no law against “just throwing a stethoscope around your neck and walking around.” The charge involved a similar incident at a different hospital in which he came in as a patient and then decided to video himself wearing someone’s scrubs. He has led an interesting life – he had two airplane crash landings in two days after convincing aircraft owners that he was a pilot and potential buyer and needed to take their planes up for test drives, then crashing them. His scrubs in the video carry the name of “Denver Prinz, MD,” suggesting that he might be this guy (Prince Denver of Prussia) who claims to be a prince, a charity CEO, a friend to countless celebrities (“my friend Jeff Bezos, owner of Amazon”), a talented keyboard player (whose fingers aren’t shown and whose body movements clearly don’t match the music), and a pilot of everything from helicopters to stunt planes. Waystar (the former Navicure and ZirMed) rolls out its “The All-New Rev Cycle” branding campaign at the HFMA annual conference. IMHO – The biggest challenge to telemedicine is the lack of insurance coverage. Medicare (which also sets the rules for most commercial payers) has a very limit set of originating sites (locations where the patient can be during the visit). The AMA is scared to death of how this technology could negatively affect their urban/ suburban member’s pocketbooks.